WE CREATE EXTRAORDINARY LIVING SPACES THAT ARE UNIQUELY PERSONAL TO YOU. LUXURY KITCHENS, STUDIES, BEDROOMS AND DRESSING AREAS THAT LIFT YOUR SPIRIT AND FREE YOUR IMMAGINATION. We create unique luxury kitchens and living spaces that reflect your individuality and make the most personal of design and style statements. We believe that each design should be custom-built for you and tell a story; your story. It’s a truly individual approach to room design that appeals to those who are looking for something special, something exciting. Each Extreme design is a one-of-a-kind piece, as it is as individual as the person for whom it was created. 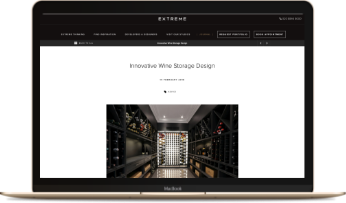 As well as creating bespoke designs for private clients, Extreme’s designers collaborate with the world’s leading developers, architects and interior designers creating innovative residences. Discover our portfolio of bespoke kitchens and luxury living spaces and find inspiration for your design.